The past couple of weekends we have been installing the storm windows on our tall old house. As I pull them from the rack in the garage, I find that every few windows there is one that needs a bit of repair: some putty to replace, a hook that needs tightening, or a strengthening plate to be added. This is work that gives me time to think about anything and nothing. Usually it is the latter, I admit, but when I do think, one of the things I find myself contemplating most is the windows themselves. These windows are presumably almost 90 years old, the same age as the house. Their materials are simple: frames of clear hard fir, a bit of steel hardware, glass, paint, and mastic putty. This traditional sash window/storm window system is based on a combination of renewable resources and plentiful, nearly infinite Earth resources (silica sand, iron) that could be sourced locally in many parts of the world. 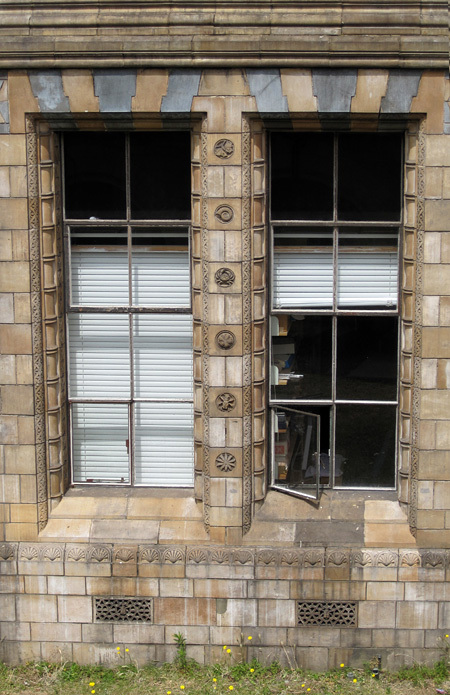 If we had a “100-mile diet” for construction materials, then the traditional sash window could feasibly have the majority of its components sourced within that radius. Somewhere like Winnipeg, wood of suitable quality might be a scarce commodity if we were to depend on local trees, but nonetheless most of the window (other than the steel hardware) could come from resources near at hand. Since windows have always been among the more complex parts of a house, what holds for the windows probably holds for much of the rest of the house, too. In Winnipeg, there is sand directly below our feet if we dig deep enough. Not that far away are places like Beausejour and Black Island, where plentiful high-grade sand was mined historically for glassmaking. I have written before about the Ordovician Winnipeg Formation that underlies so much of this area, and many other units are similarly endowed with sand, such as the St. Peter Formation of the midwestern United States. The St. Peter has such wonderful silica that Henry Ford located a car plant in St. Paul, Minnesota, directly above the sand that was used as a source of window glass! In comparison with most objects we encounter in the modern world, these old windows are notable for the near-absence of petroleum products. Of course energy resources were critical to the manufacture of windows – glassmaking, for instance, takes a tremendous amount of heat – but energy can come from many different sources, and nowadays it does not have to be petroleum. In refurbishing the windows we have considerably increased their petroleum-sourcing. We are using modern paint, and who knows what is really in that stuff, but I’m sure there are some constituents derived from long-ago marine phytoplankton. And I have been forced to resort to a new sort of glazing putty, as the local hardware store no longer carries mastic putty. The old putty was mostly chalk or lime and linseed oil (from flax); the new stuff smells nowhere near as nice, sadly. 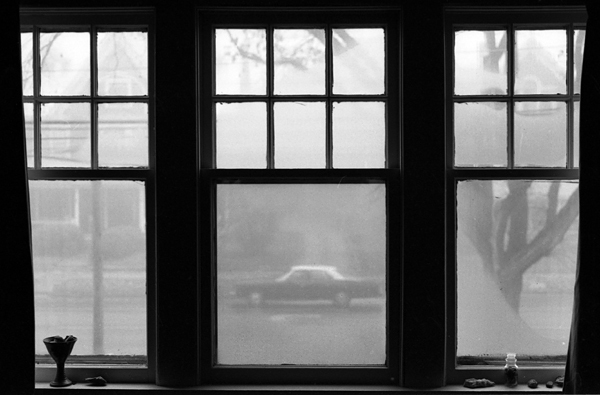 In spite of these added complexities, the windows are still elegantly simple devices. They are robust, and so relatively straightforward that even a hack carpenter like me can pull off a passable repair job. The sash window system evolved over several centuries after its first recorded use in the 1670s. It is a wonderful example of traditional human ingenuity, but went out of fashion very rapidly in North America as a result of new technologies that became widespread shortly after the Second World War. These old windows require maintenance (I have to do at least some window work every single year! ), and they do let some heat pass through, but does that mean they are inherently worse than new windows? 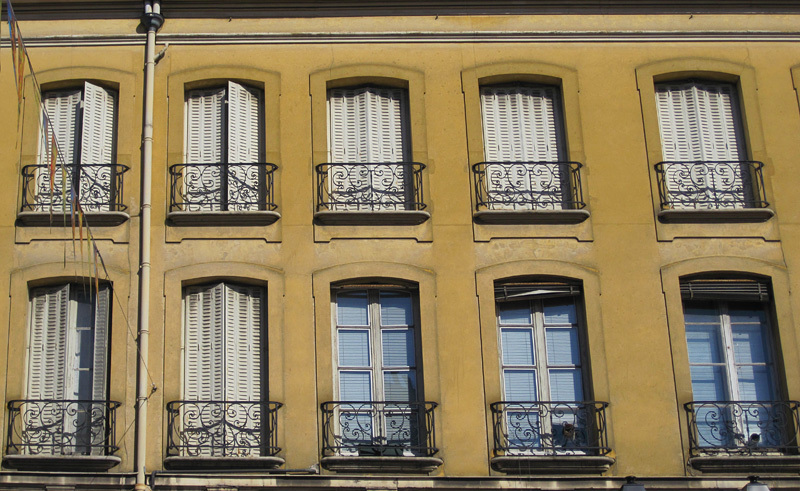 Versailles, France (these aren't sash windows, but I liked the photo). 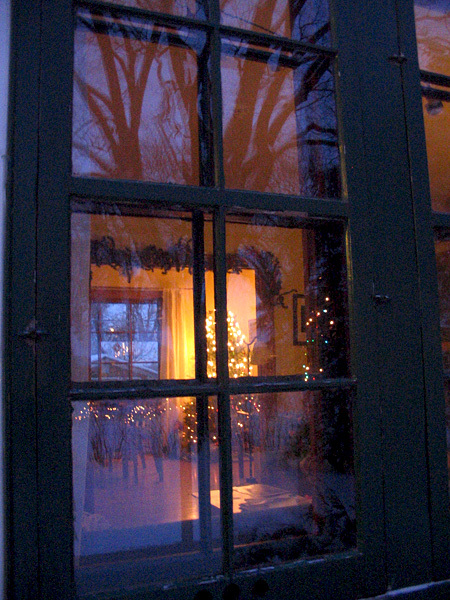 We have a few new windows on our house, and they are beautiful things. But they tend to be made of metal and plastic, they are precision-manufactured in a factory, and there are noble gases sealed into spaces between the glass. What happens when something goes wrong with this sort of device? I suspect that once they are few years old they can be difficult to repair, and that the only solution is to throw them out and start again. I know several friends who have replaced windows twice within 20 years or less, each time at a cost of tens of thousands of dollars. How long would it take to recoup the fuel savings of replacing our ancient windows with something newer? My guess is that it would be into the double digits of years, especially when you consider that our house has more than 20 windows. 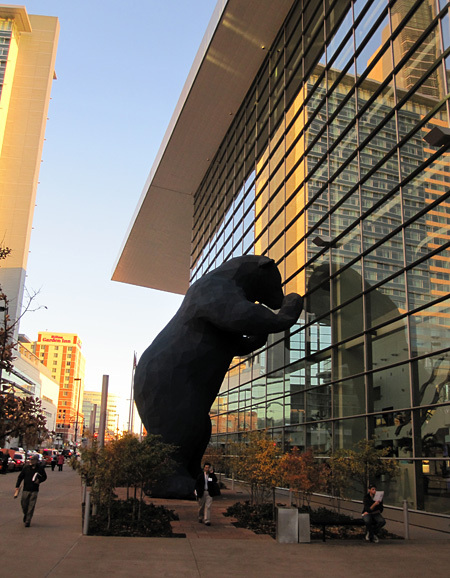 The "blue bear" stares through modern glass into the Colorado Convention Center, Denver. Windows are, of course, just one example of our throwaway economy, where the technologies we have developed depend on ever-plentiful and cheaply transported resources. Is the throwaway economy also a false economy? What will happen to future generations, if non-local resources for new products become scarce or unavailable? Will people be engaged in a futile quest to fix items such as hybrid cars or modern windows, objects that cannot be repaired or renewed through the ministrations of the home handyman or the local mechanic? I think I will keep fixing these old windows for as long as their frames will bear it. 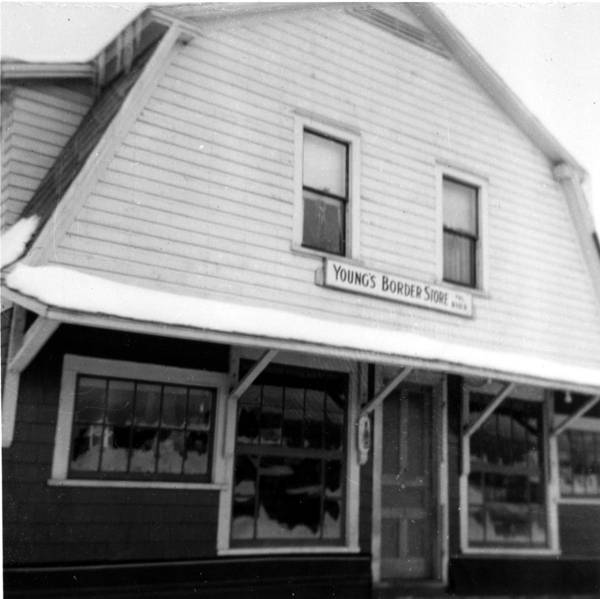 My grandfather's store at Young's Crossing, Marysville, NB, c. 1956. Brilliant post, Graham! Only you could turn a simple topic like window repair into something so far-reaching and thoughtful. Thank you Holli. I’m glad your fight went well, by the way, even if the outcome was not as you had hoped!